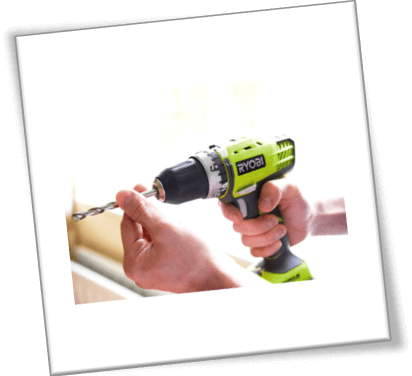 Don't Feel Like Reading Our In Depth RYOBI Cordless Drill Review ? Here Is A Quick Summary For You. The Ryobi cordless drill has a Two-speed transmission with a 24 position clutch and a rubberized grip which makes the tool ideal for slippery conditions. This RYOBI drill comes with a magnetic tray for storing extra bits and fasteners and a LED light which allows you to work in dim conditions. The P208 model is quick and efficient so it's ideal for simple DIY projects. Cordless drills are an essential power tool for most homeowners and DIY experts in their day-to-day activities. 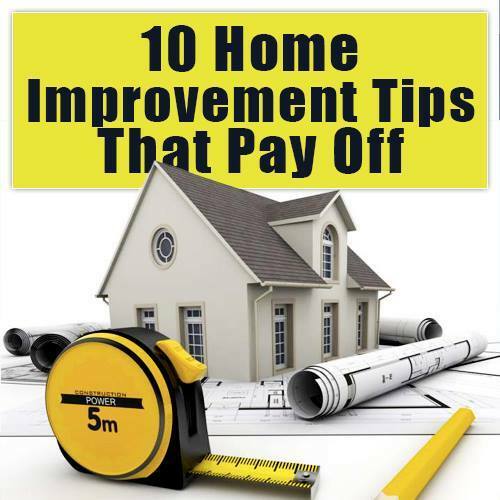 You can rely on these power tools to carry out significant drilling projects, such as when you are remodeling your kitchen, or want to do other smaller tasks in your home, like assembling furniture or installing fixtures. You may even want your power drill to service other tools. Nowadays, most cordless drills operate on Li-On (Lithium-Ion) batteries. These power tools provide more power and extended runtimes. Whereas cordless drills deliver excellent power and a degree of versatility, these machines will save you the discomfort of dragging the cord with you around your house or job site. Cordless drills are becoming more and more wide-used with time. However, there are dozens of cordless drills on the market today from several brands such as Makita cordless drills & Dewalt drill/drivers for instance, all available in different price ranges having different features and functionalities. You should choose wisely between the best of them, made by famous manufacturers and praised by thousands of clients around the globe. Moreover, even the best cordless drills tend to have some essential differences between each other, which makes it quite overwhelming purchasing one. Lucky you, we are here to help you make an informed decision. In today’s article, we have prepared a comprehensive Ryobi P208 One+ Review to help you with everything you need to know about cordless drills and give you a taste of what you can expect if you decide to get one. The Ryobi P208 One+ is one of the most reasonably priced cordless drills available on the market. 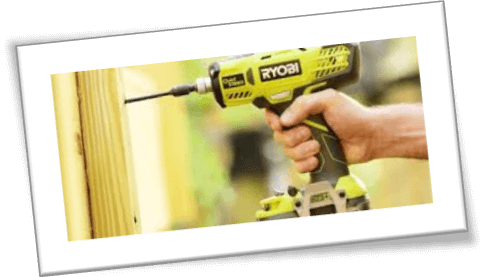 This RYOBI product retails in a lower price range around $50 in most online stores, making it quite affordable for the homeowners who are on a budget and yet want a high-quality device. This tool has received many helpful and positive reviews from the majority of the customers who have used it. At the time of writing, this Ryobi cordless drill has received many online ratings between 4.5 and 5 out of 5 stars, hence making it a must-have tool to use. Moreover, you should know that this power tool is regarded as one of the best portable drills which comes in a compact and lightweight design, and is proven to be more powerful and easier to handle for your daily use. The best part is that even if you have small hands, you can hold it comfortably and efficiently. Good to know, the changes of getting tired using the Ryobi 18V drill for your home projects are slim. The Ryobi lithium-ion drill is an astonishing addition to any toolbox. Plus, the Ryobi P208 One+ features two variable speed controls for various drilling and driving applications. Most clients are delighted with this 18v cordless drill, many reporting that they would use it over and over again. One question most customers ask before purchasing this tool is: how well does this drill driver perform? If you are a beginner, this can be daunting figuring this out, and that is why we are here. Well, in this Ryobi 18V drill review, we will provide you with detailed information regarding the main features this compact drill/driver kit offers. Also, we will point out the pros and cons of this tool to help you in your shopping decision making. The Ryobi P208 is a powerful cordless drill capable of handling your tasks efficiently. This tool is blessed with the next generation lithium-ion battery. The design is compact and lightweight, but it delivers enough power, allowing you to use it for the toughest jobs even. This Ryobi drill set sports an exclusive MagTray for holding the drill bits and screws flawlessly when working – this maximizes your productivity on your job site. The Ryobi P208 features dimensions of 12 x 3 x 9-inches and weighs only 3 pounds. With its smaller size and lightweight design, it takes no effort to maneuver around and avoid your hand or arm getting tired easily when doing deep drilling or driving jobs. When it comes to the design of the Ryobi P208 One+ 18V Lithium-Ion Drill/Driver, the first thing you will realize is that it’s compact. And the reason why the Ryobi P208 One+ is considered among the best portable drills is the fantastic feel which this tool provides when it’s in your hand. This device is extremely comfortable to use, thanks to its smaller size. With this Ryobi drill, you can even reach the tightest and inaccessible areas fast. When you compare Ryobi P208 with the Ryobi P271, you will realize that both power tools are lightweight and will get the job done quickly for relatively simple home improvement projects. This Ryobi lithium-ion drill driver comes fitted with a comfortable grip which improves the handling and convenience of your drill. The casing of this power tool is manufactured from heavy-duty metals, plastics, and rubbers – hence ensuring the drill is robust enough to withstand frequent drilling/driving use. The Ryobi P208 One+ uses 18-volt lithium-ion batteries. The most exciting part is that unlike many other cordless drills, you can use both the lithium-ion and the nickel-cadmium batteries with this drill. Moreover, the compact lithium-ion battery of the Ryobi P208 can be used with other Ryobi One+ products – hence making it quite convenient especially if you have a few Ryobi tools laying around. The bad news is that this power tool doesn’t come with the battery and charger included. This means that you will have to purchase them separately. The Ryobi P208 One+ has variable speed control which enables you to drill in a wide variety of materials or surfaces swiftly. Another thing you will be much impressed about is that this cordless drill has a two-speed transmission. It features a high-performance motor, capable of producing a maximum speed of up to 1,600 RPM when the drill is fully charged. At a low gear, this cordless drill provides 0-400 RPM. You should know that the low settings turns this power tool into a screwdriver on command. Additionally, it features 350 inches per pound of torque, and whereas this might not be much, this device still delivers more than enough power for the everyday tasks. The Ryobi P208 cordless drill sports a 24 position clutch with a two-speed gearbox, which provides you access to a broad variety of applications, right at home or on job sites. You can set the clutch to one of the 24 positions to quickly adjust the torque – this prevents you from damaging the material or surface you are working on as well as snapping off the fastener head. The impressive thing is that with so many clutch positions, at least you will have great control over your drill. Another thing you will surely love about this compact drill/drive is that it features a 1/2-inche single-sleeve, keyless chuck with an automatic spindle lock which makes it easy to replace the bits when working at your job site. It is very convenient to have; you merely need to place the bit into the chuck by hand, grip it, and activate the power tool to lock. This means that you do not need to worry about misplacing the key. Additionally, this Ryobi drill sports a magnetic holder, which you can use to keep the drill bits. When you’re on a significant busy project, you may not have enough time to change the drill bits. In that case, the Ryobi P208 is the perfect solution for the job. With this cordless drill, you can save a lot of time and energy when working on a big drilling project. This Ryobi cordless drill features LED lighting which illuminates your workspace, hence allowing you to do your drilling efficiently and accurately. This is a beneficial feature, and when combined with the drill’s compact size, you can work in tight and enclosed areas with ease. All Ryobi power tools, including Ryobi P208 One+, are backed by a three-year limited manufacturer’s warranty against any defects in workmanship and material. Additionally, Ryobi offers a 30-day satisfaction guarantee – meaning that you can return the product in the first thirty days of use if you aren’t satisfied with it. It doesn’t come with the battery and charger included. This means that you will have to buy them separately. But that doesn’t mean that the product is not worth considering. Quick and efficient for simple DIY projects. Easy to switch between the drill settings. Magnetic tray for storing extra bits and fasteners. Easy to switch out and to tighten the driver bits. Two-speed transmission and 24 position clutch. LED lights allow you to work in dim conditions and increase visibility. The rubberized grip makes the tool ideal in slippery conditions. The battery takes a long time to charge, around three hours – compared to other cordless drills which take 15 to 30 minutes to be fully charged. Doesn’t come with battery and charger included. The handle is a bit small for big hands. Having the perfect power tool is an excellent investment as it will save you time and money, and will help you finish your drilling or driving projects much more efficiently. And the Ryobi P208 One+ 18V Lithium-Ion Drill/Driver can be a perfect choice for you. This versatile RYOBI drill features LED lighting for work visibility, suitable for those who frequently work in the dark or at night. Moreover, being powered by a lithium-ion battery, it can significantly last for an extended period without discharging. Also, it features up to 1600 RPM maximum operating speed and has 350 inches per pound of torque for various drilling and driving applications. Overall, the Ryobi P208 is a decent cordless drill for those looking for a cheap power tool for small tasks around the home. We hope our Ryobi cordless drill review will help you find the perfect machine that suits your needs. Still not able to decide which cordless drill to buy? Make sure to check out in depth cordless drill tool guide or compare the best cordless drills on this page, hope this helps you make an informed decision.